Vote: Would You Wear A Tassle Boat Shoe? Former market editor for Complex Media. Christian Louboutin has been dropping footwear that&apos;s only gotten better since the first crop of men&apos;s shoes. For the summer season, the brand has decided to hold off on the spiked and bedazzled joints to bring a more casual style. Don&apos;t get it twisted, this boat shoe is still luxurious as hell, just a bit more simple. You have the tennis shoe sole with the slip-on upper boat shoe motif, with a tassle to top it off. 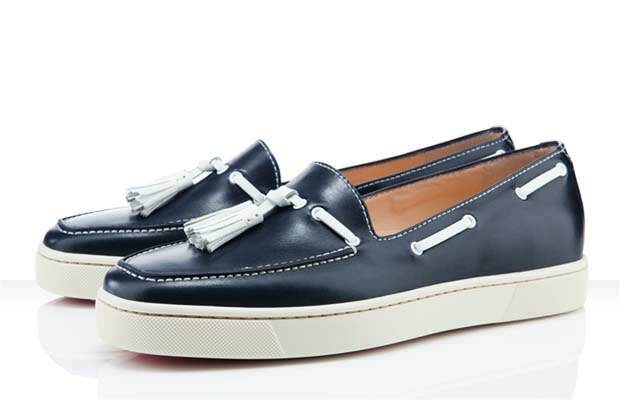 Tassles are usually found more on dressier shoes, but still, would you wear a tassle boat shoe? Vote below and let us know!